The U.S. Postal Service has suspended mail delivery Wednesday in the Chicago area. While post offices will be open to provide retail services, mail carriers will not be making deliveries in the record-breaking cold that descended on the region Wednesday, according to USPS spokesman Tim Norman. 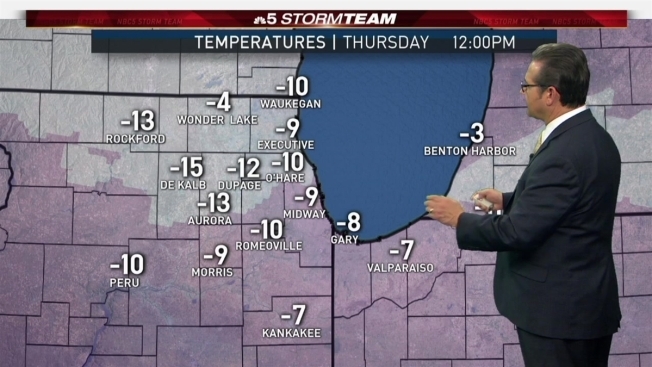 As of 9 a.m., temperatures had reached minus 23 degrees at O’Hare International Airport, according to the National Weather Service. The previous record daily low for Jan. 30 was set at minus 15 in 1966. In addition to Chicago and the surrounding suburbs, mail delivery has been suspended in Minnesota, Iowa, western Wisconsin and western Illinois because of Polar Vortex Jayden, according to a statement from the weather service. Norman said officials would make another announcement later in the day if service were to be suspended on Thursday as well.